Etihad Airways is the second biggest airline in the United Arab Emirates. It is based in Khalifa City, Abu Dhabi. It aims to replicate the Arabian hospitality to the world. The airline was founded in July 2003 by the Royal Amiri Decree. Since its commencement in November 2003, the airline has continued to become one of the fastest developing airlines in the commercial aviation history. With over 20,000 employees, the airline has become one of the best airlines to work for because of its compensation packages and healthy working atmosphere. The employees of the airlines enjoy a competitive basic salary and other benefits such as annual leaves, travel benefits, health insurance benefits, retirement plans, allowances and more. Being a world-class airline, employees stay because of the many career opportunities that the airline offers. The working environment encourages employees to work as a team and to support each other when needed. How old do you have to be to work at Etihad Airways? There is no minimum age indicated or required in the Etihad Airways job postings. However, if you are applying for an entry-level job, you are not required to have previous work experience. Cabin Crew. Cabin crews are known for their world-class service. You will be responsible for meeting the needs and demands of your passengers. You must possess excellent oral English skills, impeccable customer service skills and advance communication skills. Contact Center Agent. As a Contact Center Agent, you will handle all incoming calls and deliver outstanding customer service. You must have excellent planning, communication and organizational skills. Inflight Chef. Being an Inflight Chef requires you to be customer-oriented and meticulous when it comes to details, as you will be responsible for the quality of the food served in the aircraft. Nurse. You will provide nursing services and support to doctors during medical examinations. You will conduct various nursing activities such as eye tests, conducting tests for vital signs, BMI, height, weight and others. Other career opportunities include Cargo Area Sales Manager, Lead Aircraft Engineer, Pricing Controller, Data Analyst, and Finance Manager. Go to the company’s official website for a list of job openings. 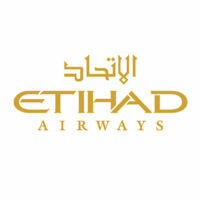 Etihad Airways provides applicants with a hassle-free online application system. Search for the job that is applicable to your qualifications through the airline’s job search page. Applicants are given two options to apply. You can apply through your LinkedIn account and you can apply online through your email. Online applications are preferable, as recruiters can easily receive your applications faster. When you fill out the application form, you must ensure that all your data and information are complete. Do not leave anything blank. All information should be true. You must submit a detailed and comprehensive resume in order to impress the recruiting personnel. Your resume should be free from errors. Proofread for grammar and spelling errors before submitting your resume. For the interview, dress smartly. It is important to dress for the position in order to impress your interviewer. Keep in mind that you are applying for a job at one of the top airlines worldwide. Etihad Airways is known as the national airline of the United Arab Emirates. They are famous for providing superior hospitality and customer service to their passengers. For 5 consecutive years, the airline was awarded and recognized as the “World’s Leading Airline” at the World Travel Awards. In 2016, the Skytrax Certified 5-Star Airline Rating was given to them. The airline company acknowledges the importance of giving back to others. Therefore, the airline participates in supporting various charities and organizations to give back something to the community. Organizations and charities that need any kind of support may submit their requests and proposals to the airline’s email together with a request form. The management will assess the requests for approval.